Senators Seek GAO Investigation Into High Drug Prices : Shots - Health News Amid an uproar over soaring drug prices, three GOP senators are seeking an investigation into whether the Orphan Drug Act is being manipulated to jack up the cost of medications for rare diseases. Building on weeks of mounting pressure to address high prescription drug prices, three influential U.S. senators have asked the government's accountability arm to investigate potential abuses of the Orphan Drug Act. In a letter to the U.S. Government Accountability Office, Sens. Orrin Hatch, R-Utah, Chuck Grassley, R-Iowa, and Tom Cotton, R-Ark., raised the possibility that regulatory or legislative changes might be needed "to preserve the intent of this vital law" that gives drug makers lucrative incentives to develop drugs for rare diseases. "While few will argue against the importance of the development of these drugs, several recent press reports suggest that some pharmaceutical manufacturers might be taking advantage of the multiple designation allowance in the orphan drug approval process," the letter published Friday states. In January, NPR published a Kaiser Health News investigation that found the orphan drug program is being manipulated by drug makers to maximize profits and to protect niche markets for medicines being taken by millions. Congress overwhelmingly passed the 1983 Orphan Drug Act to motivate pharmaceutical companies to develop drugs for people whose rare diseases had been ignored. Drugs approved as orphans are granted tax incentives and seven years of exclusive rights to market drugs that are needed by fewer than 200,000 patients in the U.S. In recent months, reports of five- and six-figure annual price tags for orphan drugs have amplified long-simmering concerns of abuse of the law. The senators' call for a GAO investigation reflects that sentiment. The senators asked the GAO for a list of drugs approved or denied orphan status by the Food and Drug Administration. It also asked whether resources at the FDA, which oversees the law, have "kept up with the number of requests" from drug makers and whether there is consistency in the department's reviews. The Kaiser Health News investigation found that many drugs that now have orphan status aren't entirely new. More than 70 were drugs first approved by the FDA for mass-market use. Those include cholesterol blockbuster Crestor, Abilify for psychiatric disorders and rheumatoid arthritis drug Humira, the world's best-selling drug. Others are drugs that have received multiple exclusivity periods for two or more rare conditions. About 80 drugs fall into this category, including cancer drug Gleevec and wrinkle-fighting drug Botox. Hatch, a longtime advocate of the rare disease community, said late Monday in a statement that there was little evidence so far to suggest the Orphan Drug Act needs to change. Hatch is chairman of the Senate Finance Committee, which oversees 50 percent of the federal budget, including Medicaid and Medicare spending. He said the letter is requesting "the first GAO study exclusively reviewing the Orphan Drug Act, and such oversight will ensure those critical innovations are continued into the future." Grassley, the senior senator from Iowa, chairs the Judiciary Committee and has jurisdiction over anticompetitive and patent-related issues. Grassley last month announced an inquiry into the Orphan Drug Act in response to the Kaiser Health News investigation. Cotton, a strong conservative voice, chairs the subcommittee on economic policy under the Committee on Banking, Housing and Urban Affairs. In a floor speech last month, he announced that he would find a legislative solution to price hikes associated with the orphan drug program. Cotton focused on an orphan drug that has been a flashpoint in the national dialogue about drug prices, arguing that the seven-year marketing exclusivity offered by the law should not have been given to Emflaza, a corticosteroid approved to treat Duchenne muscular dystrophy. Emflaza was not mentioned in the letter to the GAO. 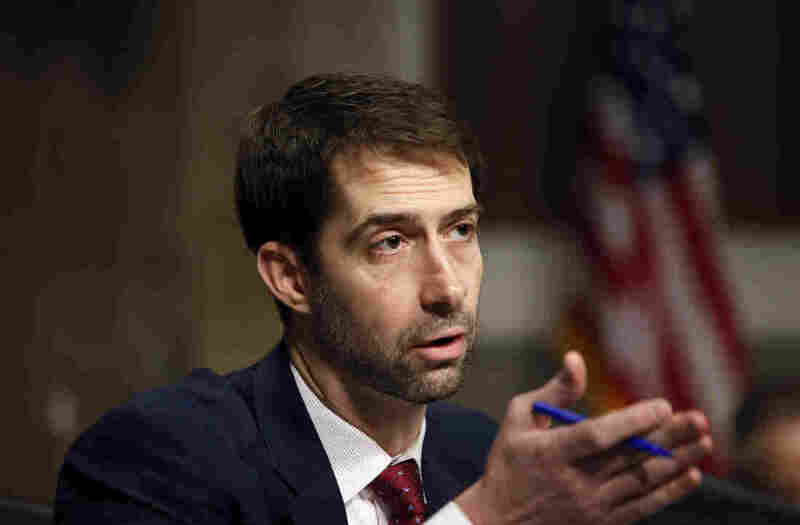 "Monopoly rights are not merit badges," Cotton said in his speech. "They're not a reward for business smarts. They're supposed to serve the interests of patients." The U.S. distributor of Emflaza, Marathon Pharmaceuticals, triggered an uproar when it announced an $89,000 annual list price for the drug, which many U.S. patients have purchased overseas for $1,000 to $1,600 a year. Marathon responded in February by delaying the rollout of the drug, saying it will talk with stakeholders, including patients, about the price.